When you see Nadal swinging a blacked-out Head-shaped racquet however, you start to take notice – especially if you’re a tennis gear-head. Rumours immediately started on Nadal trying out a new racquet to change up his game for the 2017 season = new hair and new stick might equal success, right? Nadal is clearly swinging his trusted Babolat Aero Pro Drive Original in the paint job of a Babolat Pure Aero in the above pic . 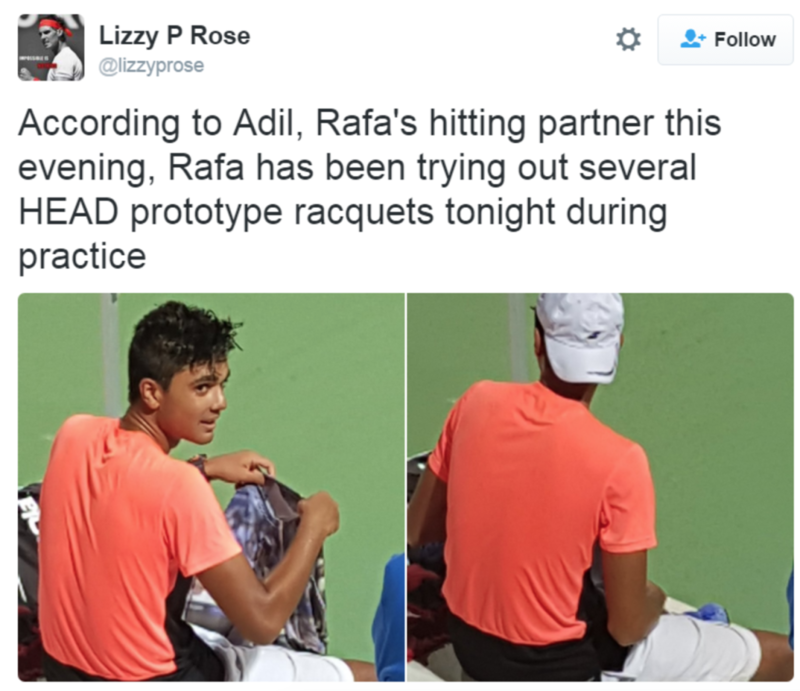 If you are curious about Rafael Nadal’s racquet, I suggest this post. So the hitting session with the Head-shaped racquet is either a serious test to try a new racquet for 2017 or purely just to try something new for fun. 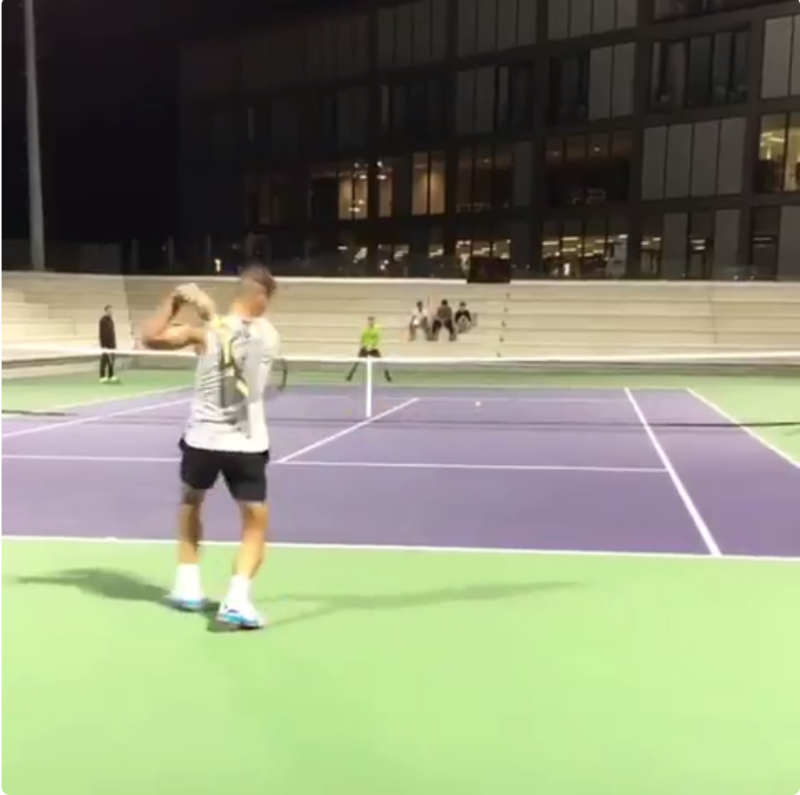 I truly doubt we will see Nadal with a new racquet when the season starts, however the haircut can definitely be confirmed, whether it’s a transplant or just a change-up – yeah, well, who cares? Let’s just hope we see Rafa back healthy and re-energized ready for some more vamos tennis! Tags: Nadal hair transplantNadal new haircutNadal new racquetRafael Nadal's racquetwhat racquet does Rafael Nadal use?